･Nail colors inspired by the julee, sauces and jams enjoyed together with strawberries. Cheerful colors, sparkling lamé and pearls give fingertips a cute touch. ･They can be used alone, or layered with your favorite nail polishes for different fun looks. ･Features a thin base that is easy to apply. Glides on smoothly and coats nails evenly. ･Quick-drying type. It adheres quickly to nails, for a beautiful finish that lasts. ･The design features a light pink cap inspired by a strawberry. 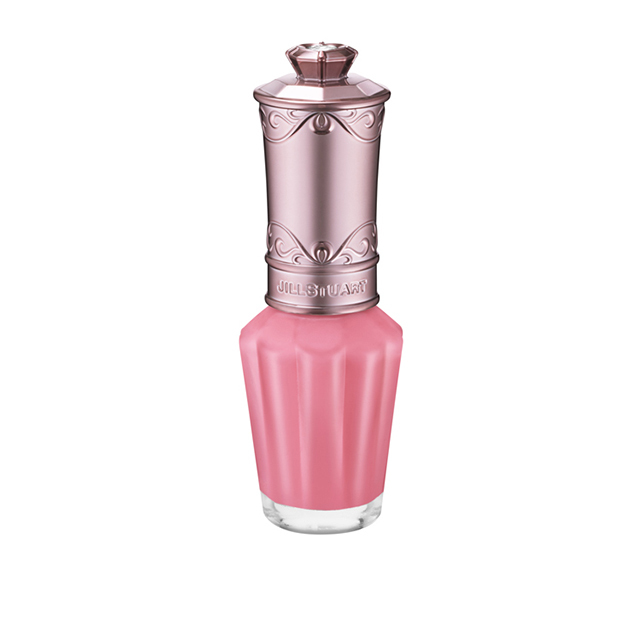 The top of the cap holds a special heart-shaped Swarovski® crystal perfect for a valentine.